Michael O’Leary’s Gigginstown House Stud is represented by seven horses in a 17-strong field for the BoyleSports National Trial Handicap Chase at Punchestown. They include the top three in the weights on Sunday – Don Poli, Monbeg Notorious and Dounikos – all trained by Gordon Elliott, as are General Principle and Woods Well, while Joseph O’Brien trains the other two, Arkwrisht and Wishmoor. Elliott unsurprisingly fancies his chances with such a big contingent. The County Meath trainer told Betfair: “This is a very valuable pot, so we’re keen to try and win it again but a few of them are going to have to step forward in a big way from what they have shown lately. “Don Poli has struggled badly in his two runs since coming back from injury. He has pulled up both times, and I think he’d prefer much softer ground than he will get here to be seen at his best. “Monbeg Notorious had a really good time of things last season when he won the Thyestes Chase. He was a bit later getting going this season and he would have needed his run in the Thyestes last time – but even so he was well beaten and he’s got to take a huge jump forward to play a part here. He too would prefer softer ground. “Dounikos was well held when he fell in the Thyestes last time, but his previous run in the Paddy Power Chase was quite encouraging – and if he returned to that form I think that he could run well. Elliott is hoping his strength in numbers can still do the trick, though. He added: “General Principle is off a mark that gives him a chance of winning another good handicap. I thought he ran a solid race in the Paddy Power at Christmas, and his latest fifth in the Thyestes was a respectable effort. He does tend to come to himself in the spring, and I think he has a good chance of reaching the placings at least. “Woods Well is a frustrating horse, because I feel he has the ability to win a good handicap, but most of his form in big field handicaps has been quite disappointing. Space Cadet completes the Elliott team. “Space Cadet is one of those horses that has been waiting all season for soft ground, and I haven’t been able to get a run into him since he ran in the Troytown at Navan in November,” he said. Willie Mullins has three runners – last year’s second Isleofhopendreams, Some Neck and Orion D’Aubrelle as he too chases a big slice of the cash on offer. “There’s huge prize money,” said the trainer’s son and assistant Patrick. “Ruby (Walsh) rides Some Neck. He fell in the Thyestes but he was fine. He’s a second-season novice – which gives him the potential to be unexposed. “He has a light weight of 10st 12lb and he’s a very much a stayer, so this trip will work to his advantage. 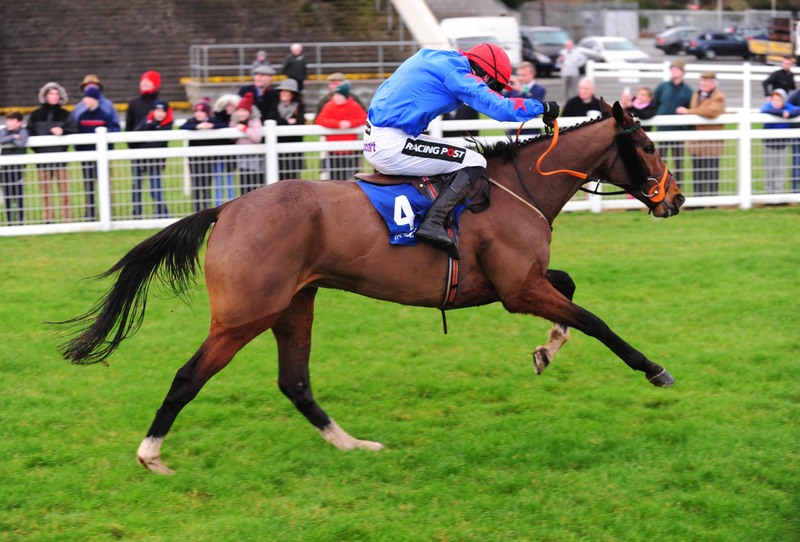 “Isleofhopendreams was second in this race last year, second in the Irish Grand National and second at Punchestown afterwards. “He’s 7lb higher than he was last year. He was very disappointing in the Thyestes, but we’re hoping he can return to form. Dinnie’s Vinnie is 5lb out of the handicap, but his trainer Philip Dempsey is happy for him to run because opportunities are limited. “We’ll let him take his chance, because there’s not a lot else for him in staying chases,” said the County Kildare handler.